In game one of the Mann Cup Canadian Lacrosse Championship between the Western Champions Victoria Shamrocks and Eastern Champions Peterborough Lakers the Shamrocks out-scored the Lakers 4-1 in a fierce third period with #91 Corey Conway scoring into an empty net with 30 seconds left winning the game for Victoria 8-6. 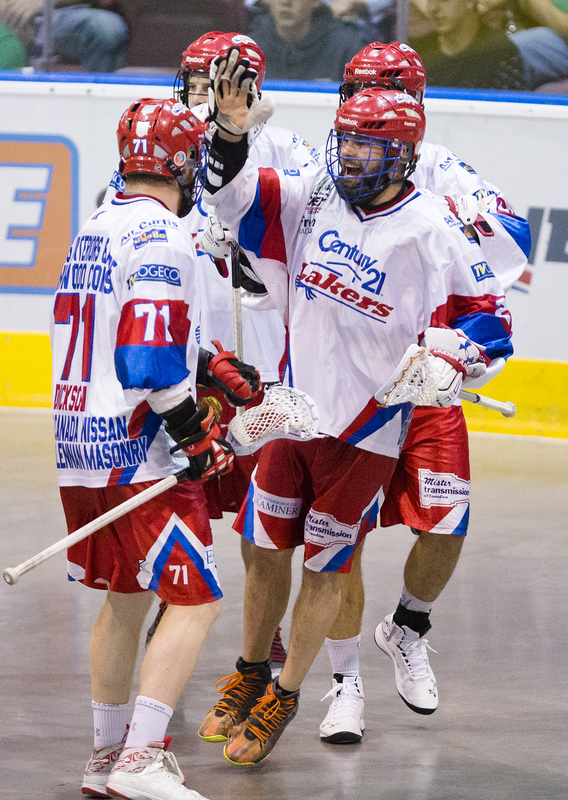 In game two the Peterborough Lakers fought back evening the series at one with #71 Curtis Dickson leading the way with four goals and three assists and #16 Adam Jones adding a hat-trick and three assists for a lop-sided 14-7 Lakers victory. In game three the Shamrocks once again took control and is was #15 Corey Small who decided to turn the screws to Peterborough. 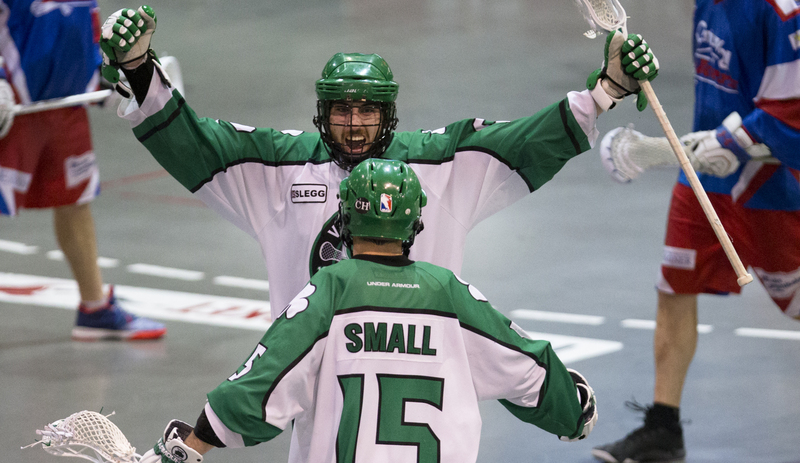 Small recorded five goals and three assists to pace the Shamrocks to a lopsided 14-8 win and a 2-1 best-of-seven series lead. 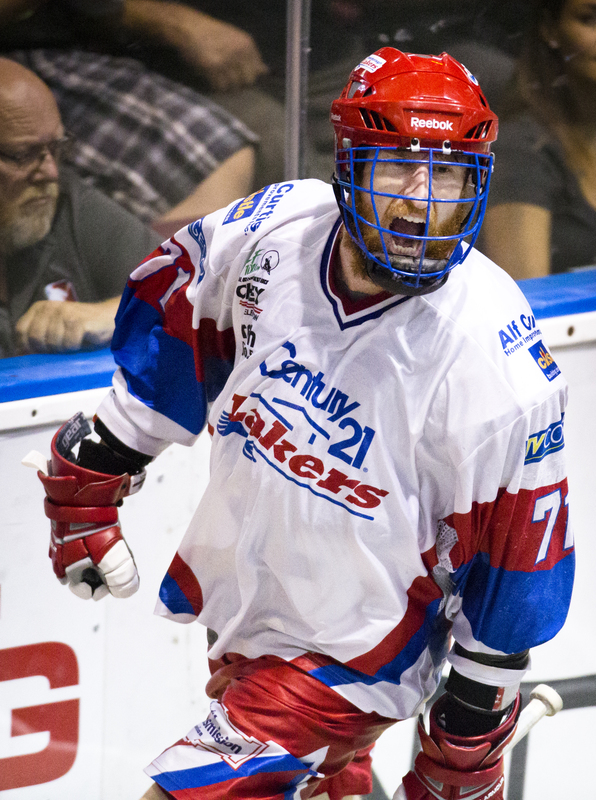 In game four is was number 71 for the Lakers Curtis Dickson who led the way scoring four goals en route to a decisive 8-6 victory for Peterborough. It was the third year in a row Victoria has held a 2-1 series lead in the Mann Cup and failed to win game four. After a hard fought three periods game five needed overtime with the Shamrocks and Lakers tied at 5. 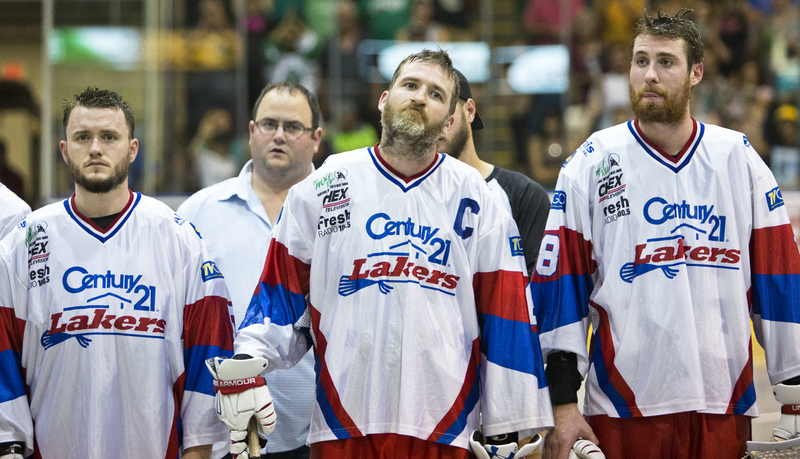 The extra frame belonged to the Shamrocks as the Lakers began to show signs of fatigue following their seven game series semi-final versus the Six Nationals Chiefs. 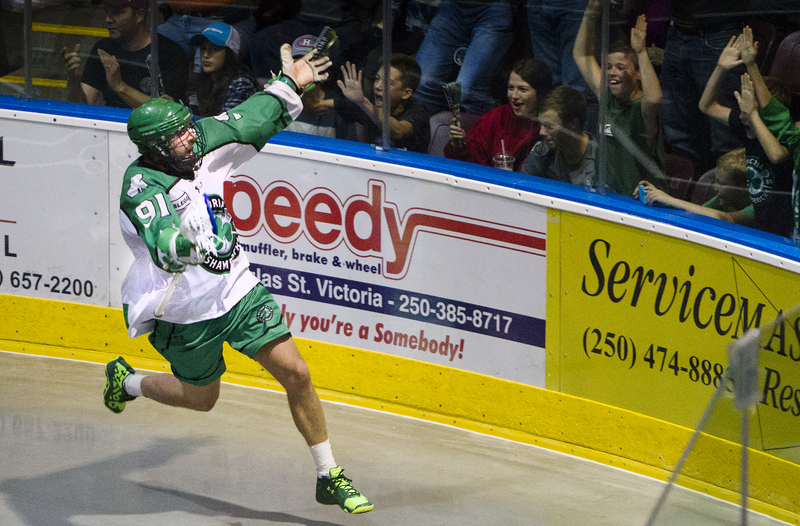 Corey Small scored halfway through the period with Dan Dawson extended the Shamrocks lead and Victoria took the game 7-5. 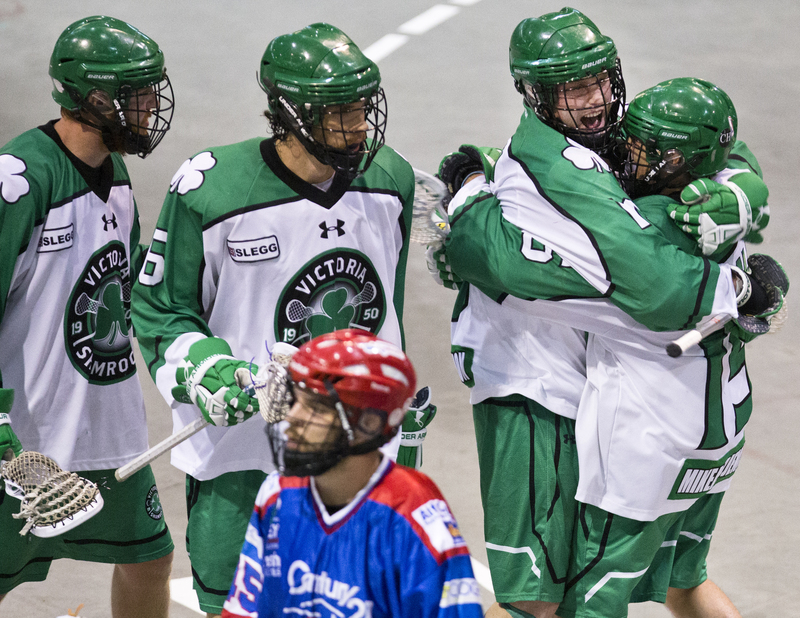 Game six belonged to the Victoria Shamrocks who opened with four quick goals and from that point on never looked back handedly beating the road weary Lakers 12-6 clinching the National Senior Lacrosse Championship series in six games. 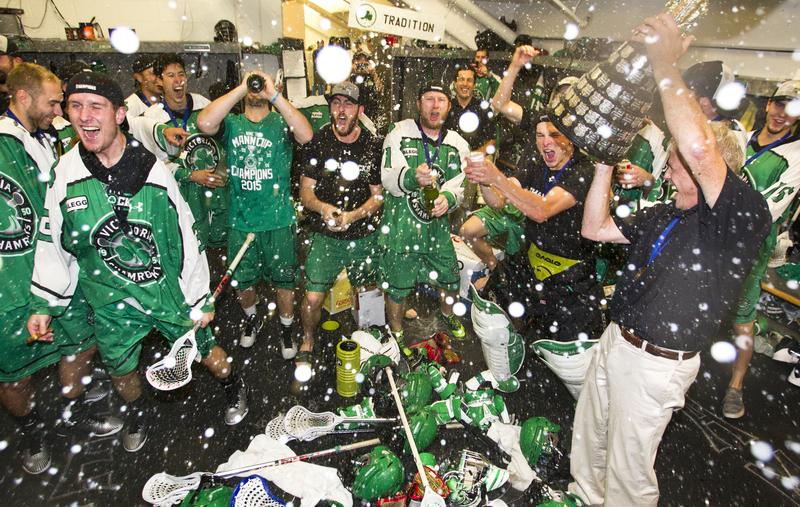 Interested in more game photos and the behind the scenes lockeroom celebration. Click the link below.